Sophisticatedly designed well furnished rooms equipped with all the modern amenities to make for a great visiting experience. 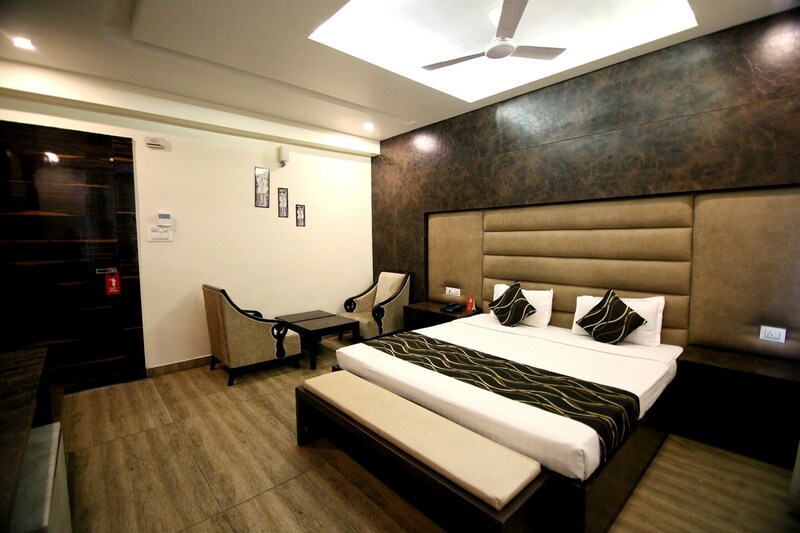 Hotel Vansh Palace, located in the bustling city centre, is perfect for leisure as well as business travellers. The hotel is quite stylish with rooms that give a royal vibe. The walls have immaculate arts on them, the furnishings are very tasteful, and the accessories have been picked with an eye to detail. The spacious rooms also have a cozy seating space within them. Located nearby are a number of eateries and restaurants. Spots like Swami Vivekanand Sarovar, Motibag, and Ajooba Park are quite close to the property and can be reached with much ease.